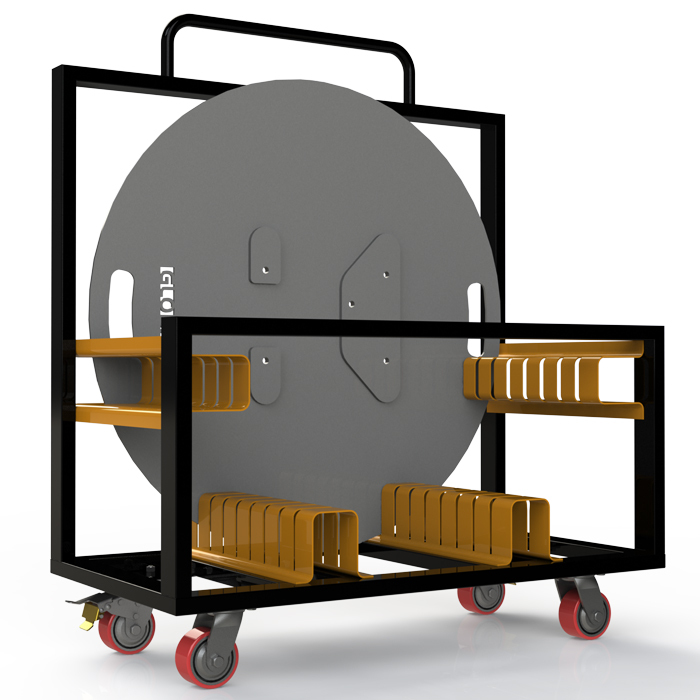 The Global Truss base plate trolley is the ultimate base plate storage system. Built from steel, its rigid frame allows for easy loading and unloading of base plates. Industrial grade swivel wheels which also allows a free pivoting motion with two brake castors included. Designed for base plates to be stacked vertically in place saving you time when you get to each gig. Two person operation recommended for safe handling.